Solar panels are to be put on Honolulu’s international airport, in line with the State of Hawaii’s goal to be run on 100 per cent renewable energy by 2045. RENEWABLE: Hawaii hopes to be running on 100 per cent renewable energy by 2045. Honolulu’s Daniel K. Inouye International Airport (HNL) is set to increases sustainability with 4,260 solar panels on the seventh floor of Terminal One’s parking. The Hawaii Department of Transport (HDOT) are continuing their efforts to make the airport more environmentally friendly. The solar modules are expected to generate 2MW-DC/1.6MW-AC, which is enough energy to power more than 328 houses. This expected energy is based on a full day of sunshine. The whole project could power more than 175,000 homes. The solar energy generated is expected to halve the overall electricity bill of the airport. The panels will be installed on the roof of Terminal One, above the carport, which will also provide shaded areas for cars when finished. 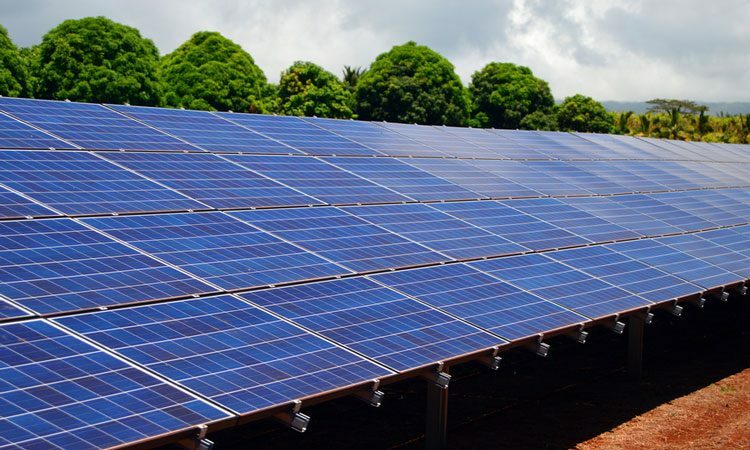 The project is in line with Governor David Ige and the State of Hawaii’s goal to be run on 100 per cent renewable energy by 2045. The total cost of the project is estimated to be US$600 million and is the largest single state energy saving performance contract in America. Construction is expected to start 20 August and will finish on 16 November 2018. During the project 344 parking spaces on the roof of Terminal One will be close, due to safety reasons. Passengers have been prewarned about this however, with signs detailing the restricted areas. The Hawaii Department of Transport will continue with their energy saving improvements in early 2019 when the same project is expected to begin on Terminal Two. The airport and local government will be under-taking 900 individual conservation measures, replacing nearly 98,000 light fixtures with high-efficiency light-emitting diode (LED) technology and energy efficient lighting, upgrading ventilation and air-conditioning systems and installing more than 21,000 solar panels. The $207 million investment is financed from guaranteed energy savings, not taxpayer funding.